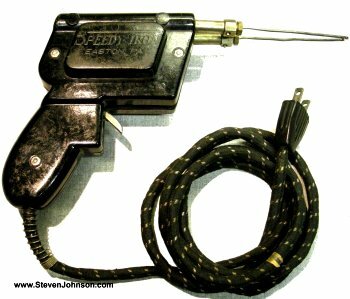 The New Weller "Speedy Iron" - 1946 This is one of Carl E. Weller's first soldering guns manufactured commerically by Weller Manufacturing in Easton PA.
Carl Weller applied for his first patent in July of 1941. 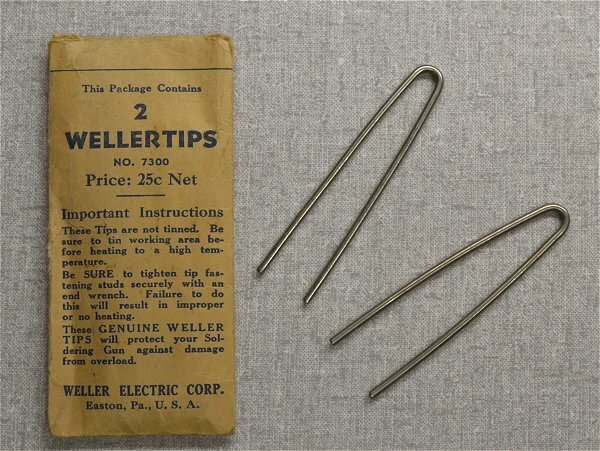 He began manufacturing soldering guns by hand in his basement. 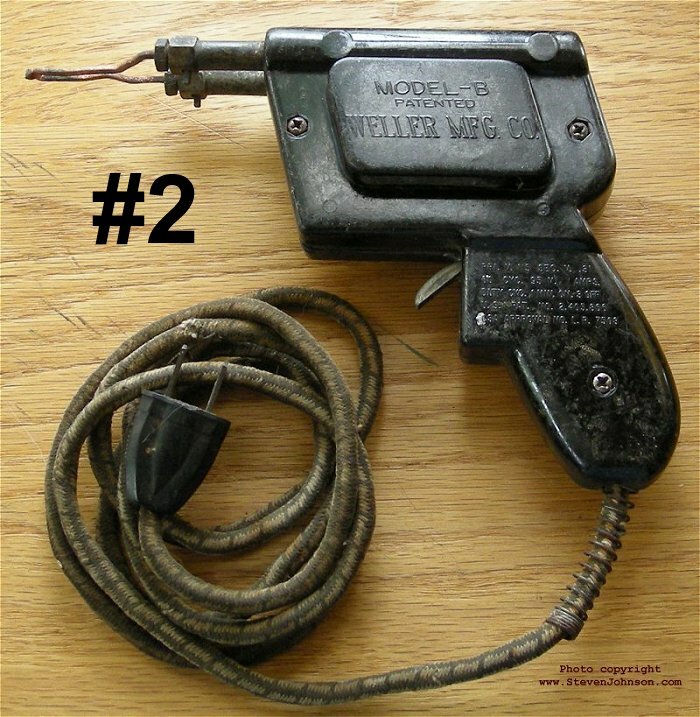 Reportadly he made 275 before forming the Weller Manufacturing Company after World War II and producing the Speedy Iron Model B. Incorporating a step-down transformer and a copper tip gave his new soldering gun the ability to deliver heat quickly and made it instantly popular. Weller received the patent for his new soldering gun in 1946. 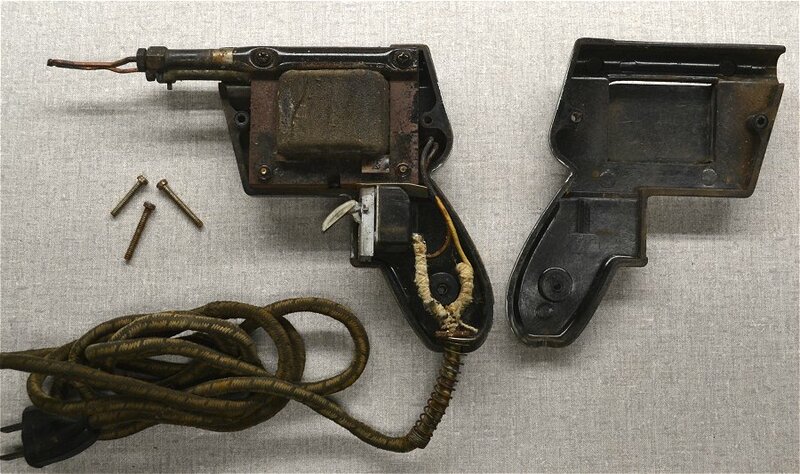 Pictured at left is the earliest of the three versions of the Speedy Iron in my collection. 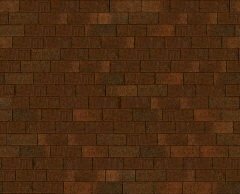 They all still work. 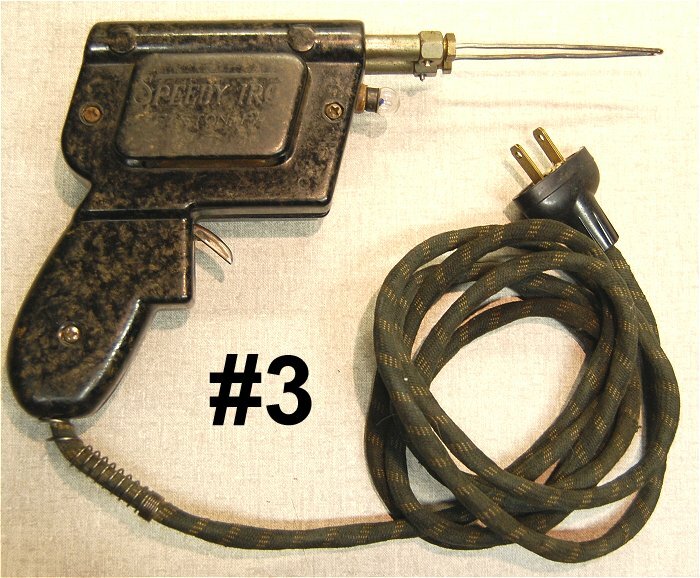 Three versions of Weller's "Speedy Iron"
#1 - The original Speedy Iron with no patent dates on the grip. 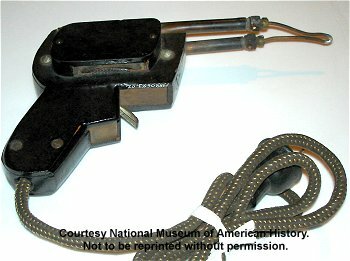 #2 - Speedy Iron with patent dates on the grip. #2 - Speedy Iron Inside. 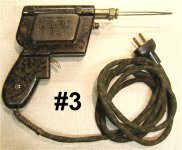 #3 - Speedy Iron with patent dates on the grip and incorporating a 2.5 volt lamp for illuminating the work.